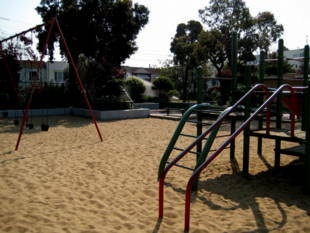 The playground features a baseball diamond, tennis and basketball courts, a sand playground, blacktop with four game squares, and a recreation center. 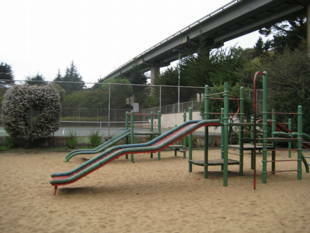 Cayuga Playground is owned by the San Francisco Recreation and Park Department. 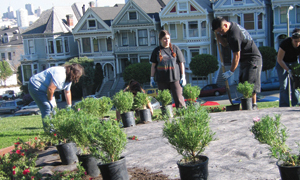 M-Ocean View -- San Jose Ave. and Farallones St. 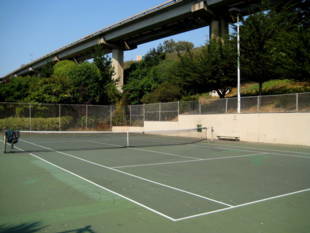 There is a pedestrian overpass near that intersection that will take you over the freeway and to the other side, to an auto care facility on Alemany. Make a left and head northeast on Alemany. The park will be a few steps away. 14/14L/14X - Mission/limited/express -- Mission St. and Naglee Ave. 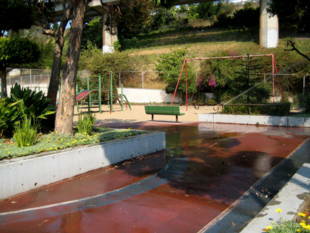 Walk three blocks towards the freeway and the park will be at the end (Alemany Blvd).